Founded by Miuccia Prada in 1993, Miu Miu has been synonymous with luxury fashion and forward-thinking design. The brand pursues a creative and innovative take on femininity, presenting classic silhouettes and timeless accessories with a glamorous twist. 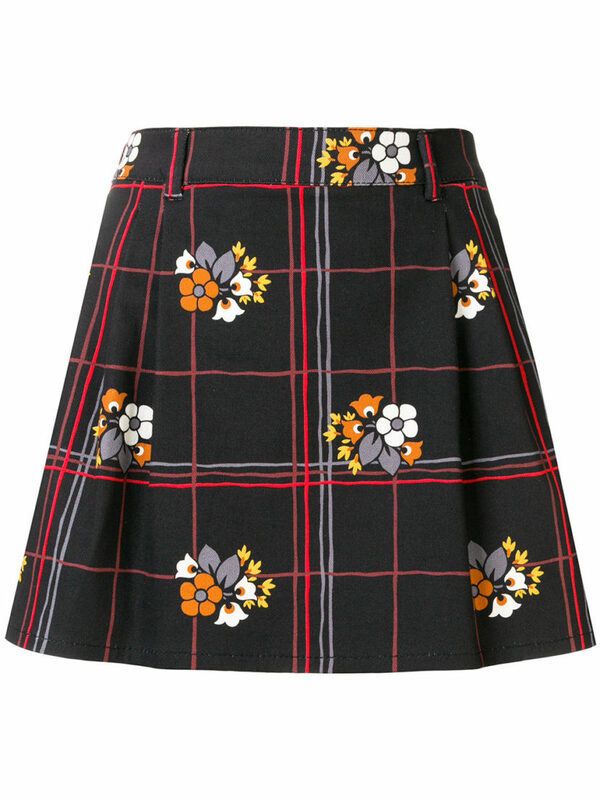 Black floral grid mini skirt from Miu Miu featuring a high rise, a concealed side zip fastening and a short length.